When you are smack in the middle of the busy mom years, you find yourself constantly wishing for more time. Time flies by, and though new moms probably hear it often, they won’t really understand until their kids are older. It’s hard to maintain that perspective during monotonous days of grocery shopping and diaper changes. 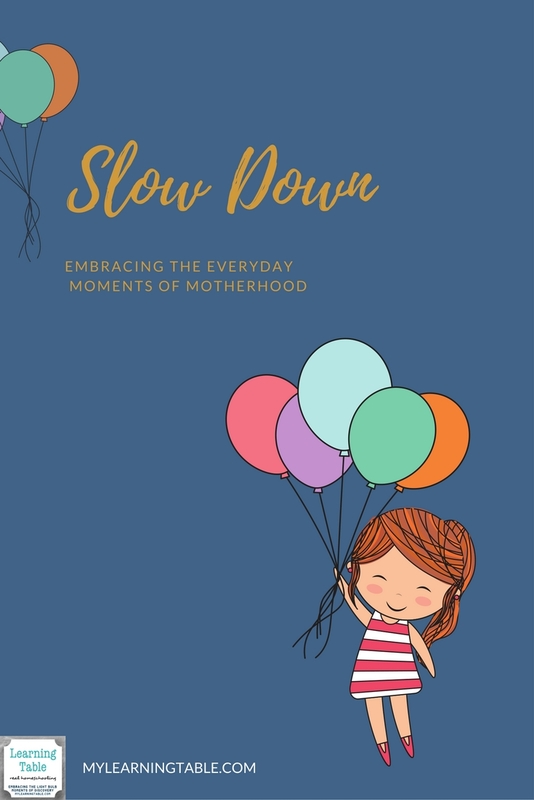 But, as author Nichole Nordeman reminds moms in Slow Down , those monotonous days of seemingly trivial things are really the big days that will grow to mean so, so much. This book is truly a must-have for moms at any stage of life. All of us feel that pull of time and long for a way to connect with the moments that matter. The publisher provided a review copy of Slow Down. My mom would love this! She used to stop my sister and I and say “just slow down, take it it” she wanted to hold onto every moment and was always complaining we grew to fast! It’s a universal truth of motherhood! 🙂 Thanks so much for stopping by, Patrick! I really should read this – I seem to always be busy, but not always being productive. Maybe slowing down a bit so I can save and enjoy will be a better way to go about life. Thanks for the review!